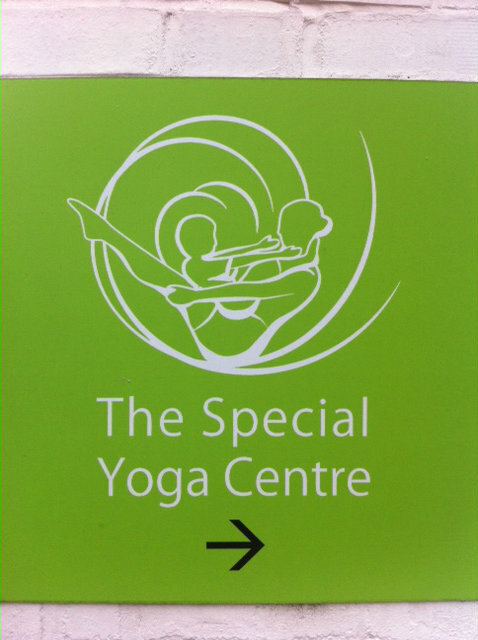 Today is day 6 of my Yoga for the Special Child course, and I really don't want it to end. I expected the course to be incredible, and Nikki had told me it would change my life, but WOW, I did not expect this. The program each day has involved us participating in a Yoga class, doing meditation in the mornings, and learning some Yoga theory. We have also then gone through the recommended programs for the varying developmental stages, and practiced the Yoga asanas (poses) on our dolls and each other. In the afternoons, awe have observed our incredible teacher Jo, teaching Yoga to children with varying degrees of special needs. Some of these children have been attending weekly 1:1 Yoga sessions at the centre for years and years, and others are children of some of the remarkable ladies in our course, who Jo has met for the first time in front of us. All of these children have clearly loved their sessions, despite being watched by the rest of us. I was gobsmacked watching an autistic boy, who had been pretty much bouncing off of the walls and running away from his Mother in the reception, slowly calm down on the mat, do some chanting, breathing exercises and yoga postures, before lying down completely still for the relaxation at the end. And watching a spastic quadriplegic boy with cerebral palsy, who is non verbal, clearly trying to say/mumble 'om' at the appropriate times. And every child that Jo has taught Yoga to in front of us this week, has visibly slowed their breathing, relaxed and calmed during their sessions. The Parents of these children, are all incredibly grateful to the Special Yoga Centre, and it's pretty obvious why. Many of these Parents have also begun their own Yoga journeys as a result of bringing their children to the centre. I am completely blown away by the profoundly positively effect that this type of Yoga is having on these children, and I know that even my children's Physio treatments are going to be altered for the better as a result of this. I also plan to teach a whole lot of pure un-physio goal focussed, yoga, to children. I would recommend that EVERY children's therapist and special needs teacher does this course. YOU NEED TO DO THIS COURSE. It has been quite simply, life changing.